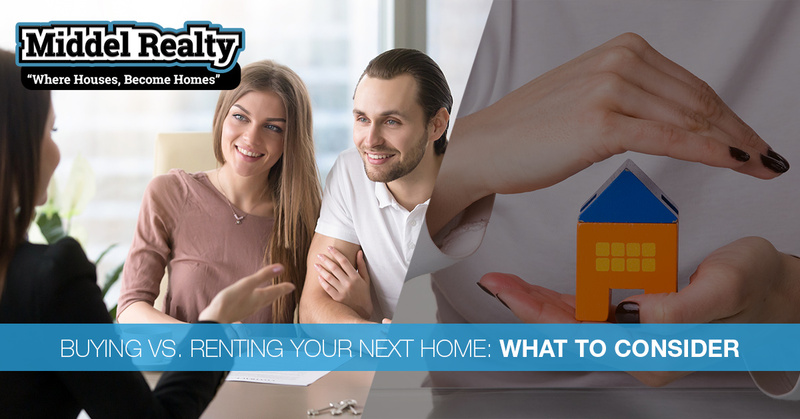 Whether you’ve finally found your new hometown or you’re ready to start a family, you have probably considered buying a house rather than finding yet another rental home. Owning property is part of the American dream, after all, but is it truly the best decision for you? It’s a big decision to make, and one that no one should take lightly. In today’s article, we’ll go over how to make an informed choice with four things you should consider before making the leap to home ownership. One of the first things you should ask yourself when considering buying a home is whether you’re ready and willing to live in the same place for several years. Buying a home is a commitment in many ways. You’re choosing a location and a mortgage payment that you’ll have to stick with for years into the future. In most places, you need to own a home for at least five years before you’ll be able to get a return on your investment by re-selling the property. Ask yourself: are you in a stable job? A stable relationship? Rental homes offer the flexibility to move and reevaluate if your circumstances change. For example, you would have the ability to relocate within a few months to a year if you are hired for a new position in a different place. You also have the ability to downsize to a smaller space if your financial situation changes and it becomes a challenge to afford the monthly payments on your current home. Depending on where you live, rent may be cheaper than a mortgage. However, it is not an investment. For some, paying rent is a waste of money when you could be building equity and paying off a property that you can claim for years into the future. On the other hand, buying a home not only requires a large down payment upfront, but it also includes the cost of maintenance and upkeep moving forward. As a homeowner, repairs will be your responsibility, whether you choose to pay for the materials and try to do it yourself or hire a expert. It’s important that you consider the big picture when weighing the costs of renting versus buying a home. One way you could lower the costs of homeownership is if you commit to doing as many repairs and maintenance tasks as you can by yourself. A DIY solution may be more budget-friendly, but it costs you in other ways. Ask yourself how much time and energy you have to spare. Some tasks, like mowing the lawn, may be simple, but others, like repairing leaking pipes or faulty plumbing, may require a level of expertise you simply don’t have. If you’re not ready to tackle the responsibility of repairs and upkeep, then a rental home may be the best choice for now. You can depend on your landlord or property management company to maintain your home, and the costs are more likely than not already included in your rent. You can save money, time, and energy by choosing to delay homeownership for another year or two. If you want the chance to design your own space, then it may be time to move on from renting real estate. You have limited options when renting — you can’t make changes without the owner’s approval, and you will eventually move out, leaving your hard work behind. Owning property gives you a chance to design the home of your dreams. You can leave behind short-term satisfaction and the dictation of someone else’s opinion. If you are looking for a beautiful single-family rental home in Fort Collins, Colorado, Middel Realty is here to help. We have been in business since 1974, with a dedication to the satisfaction of our tenants every step of the way. If you are looking for a clean, well-maintained, allergen-free home in some of the most desirable locations in Fort Collins, contact us today! If there’s one thing that’s constant about the housing market, it’s that it’s always changing. Some regions become very competitive, while some styles of homes experience a period of renewed interest. While the market may always be changing, the features that make homes for sale attractive are fairly constant. 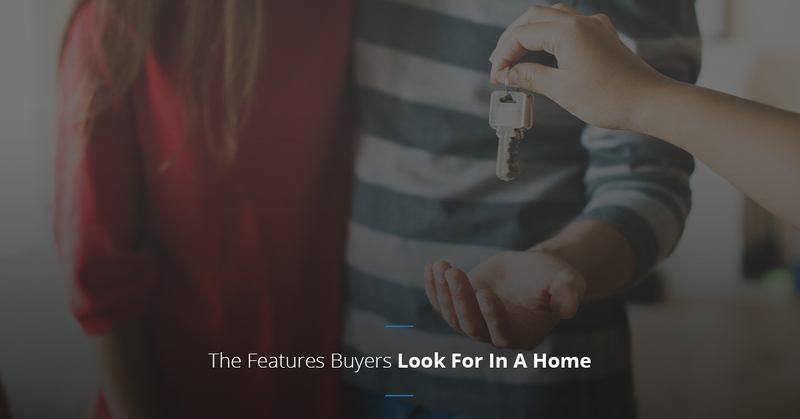 If you’re thinking of selling your home, or are looking to purchase a home, here are some of the most popular features home buyers look for. Younger buyers are prioritizing eco-conscious living spaces when looking for homes for sale. From LED light bulbs to programmable thermostats, solar panel arrays and energy-saving appliances, if a home has even a few of these features, they’re more likely to draw more potential buyers to the property. While hardwood floors have always been in fashion, they have experienced something of a renaissance in the last few years. New buyers are looking for flooring that is durable, beautiful, and more importantly, easy to clean. Hardwood flooring fits all of these needs. Almost more important than the house itself is the community it’s in. This generation of homebuyers is looking for homes for sale in areas that have a strong sense of community identity and for places that encourage gatherings and interactions. This could be areas like parks, historic downtown districts, or even areas near natural spaces. Increasingly, the bathroom is being seen and used as a private oasis for homeowners. For sellers, one of the easiest ways to see a significant improvement in your selling price is to invest in bathroom remodeling. Updated fixtures, tiles, and more in the bathroom are all likely to hold a potential buyer’s interest. Like an updated bathroom, an updated kitchen will immediately attract buyers. While energy efficient appliances are definitely a draw, even replacing the countertops, cabinet faces, or the flooring can have an immense impact on the visual appeal of the kitchen. Homebuyers want their kitchens to feel welcoming and functional. With the gig economy ramping up and more and more jobs allowing employees to work from home, new homebuyers are extremely interested in living in homes that have designated workspaces for them. Staging a room as an office is an easy way to entice buyers into viewing your home for sale. If you’re looking for homes for sale in the Black Hills area, including fabulous places like Sioux Falls, Spearfish, Rapid City, and Bozeman, give the Hills Real Estate Team a call! With more than 40 years of combined experience, our real estate agents know the Black Hills area very well, and are excited to help you find your dream home. With regular open houses, and real estate agents in four different cities, we’ve made the home buying and selling process easy. Contact the agent nearest you to get started!